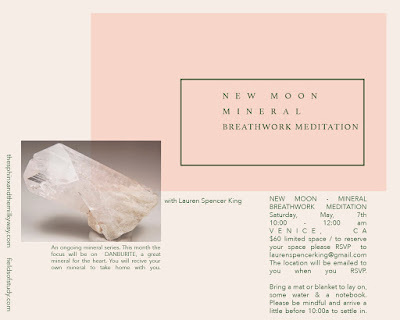 This is the first in a series of Mineral Meditations. This month we will focus on DANBURITE. You will get a mineral of your own to work with and take home with you. 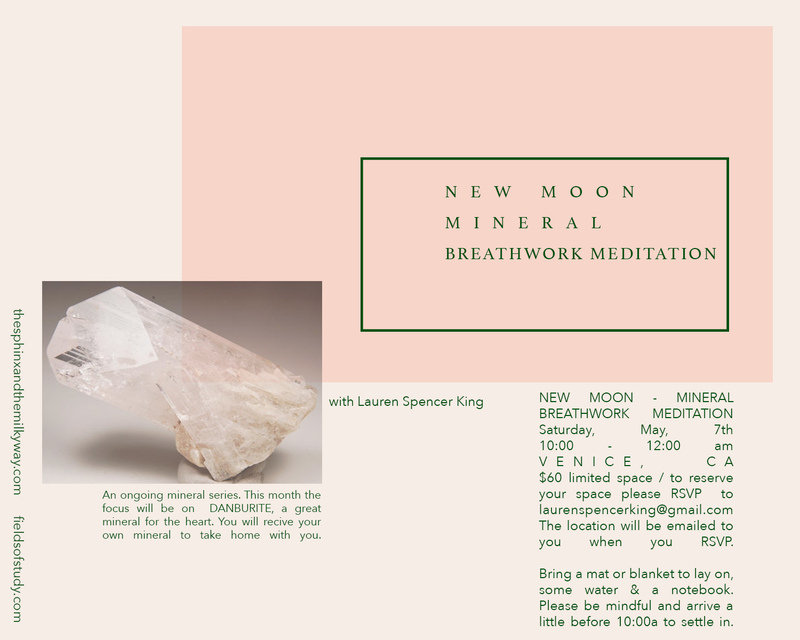 During the circle we will talk about it's properties, how to clean and care for it, you will learn to work with it's energy while setting some New Moon wishes, and you will get the opportunity to experience its healing qualities during our meditation. Breath is what connects us to each other, to every thing, to all times. This is a two part active Breathwork meditation that is very healing. Though the breath is simple to learn, it is quite powerful and profound to experience. Clear emotional blocks and stuck energy allowing you to open up and connect to the universe, dive deeper into the self, and tap into your truth and intuition. Through quieting the mind you create space to listen with your heart. Leaving you feeling peaceful, grounded, and expansive.